This black and white photo is from a 1906 book on etiquette. 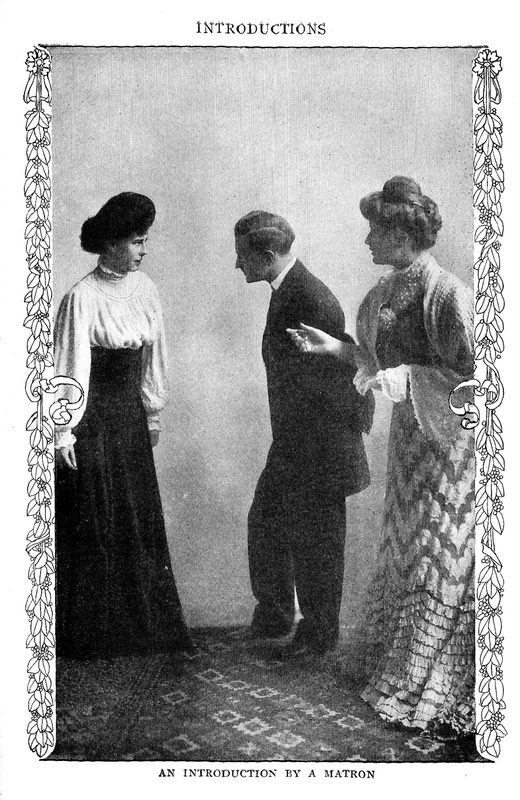 It shows a young couple being introduced by a matron.Yes, it's very formal, but it's also very charming. I hope you enjoy!